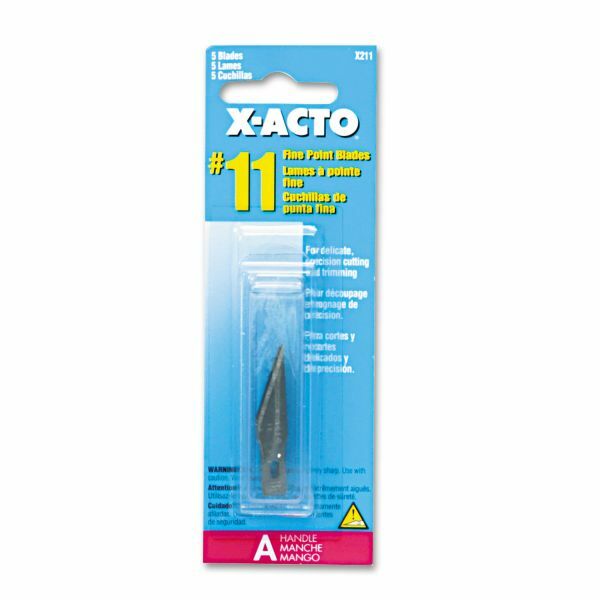 Replacement blades for X-ACTO® knives. Note: A minimum quantity of 360 must be ordered, and in units of 12 thereafter. 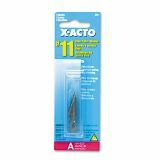 X-ACTO #11 Blades for X-Acto Knives, 5/Pack - The fine point of this blade refill cuts paper, plastic, balsa and bass wood. Precision-crafted of the highest quality carbon and stainless steel with hard sharp points and finely-honed cutting edges. Blade refill is ideal for delicate, precision cutting, detailing, trimming and stripping.